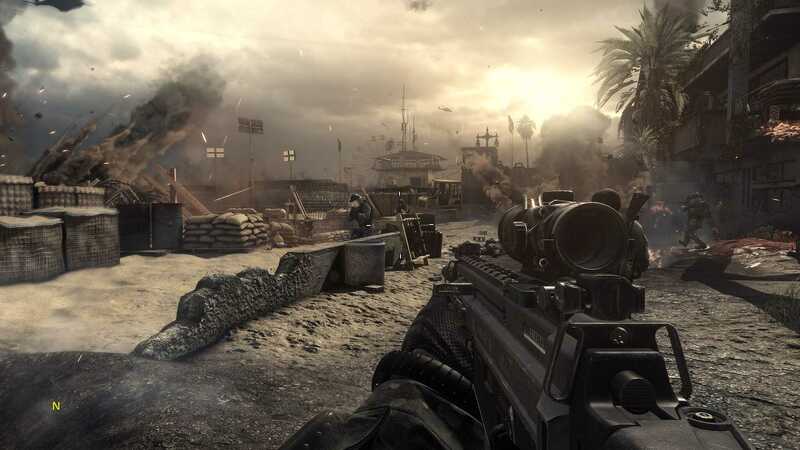 Infinity Ward has teamed up with Raven Software and Neversoft to bring forth the tenth installment of the “Call of Duty” franchise. One would think a new group with fresh ideas would be exactly what the game needed for a successful launch into the next generation of consoles. Unfortunately, boys and girls, all you get for Christmas this year are added pixels to the flying debris, along with improved fish A.I. (artificial intelligence) for a deep sea diving mission. Two additional space missions create zero gravity gunplay, and though it may feel out of place, it is an entertaining twist. Using the power of motion-capture technology, the dog models for the military canines have improved as well; simply put, the additional features available in this latest edition are few and far between. One positive aspect of the game is the single-player mode. In this campaign, the player enters the combat boots of Logan—one of the two sons of the former U.S. General Elias Walker. The mission: to defend what remains of the United States after oil-rich South America forms “The Federation,” in response to a nuclear attack on the Middle-East. The Federation has reduced half of the United States to a bowl of mashed potatoes by using a powerful nuclear super-weapon called ODIN, which had been hijacked from the U.S. ten years prior to the game’s storyline. Walker leads the U.S. military resistance and (with the exception of his own sons) can only rely on a handful of elite soldiers: the Ghosts. Though the story sounds gripping, the game falls flat on its face when it tries to engage an emotional foothold among its over-the-top set-ups. There is no character development between the main character Logan, his brother Hesh, and their lackluster, military father Elias. During the scenes dealing with the dog Riley, one would expect a connection like the one that Will Smith and his dog had in the movie “I am Legend,” but there is none. As dry and linear as the single-player campaign mode is, the multiplayer option is a push forward and takes the game to higher heights. Starting off with a detailed character creation system, 15 diverse maps, and the return of the infamous, “Search & Destroy,” “Free-for-All,” and “Deathmatch” game modes, players also receive seven new game modes. In addition, achievements, unlocking and purchasing weapons and equipment have changed as well. The game rewards players for leveling up. While playing online and gaining experience points, one accrues credit which can be used to unlock new weapons and equipment. The more the game is played, the more points one can earn and the more goodies can be unlocked, though this time it takes longer to gain those points. 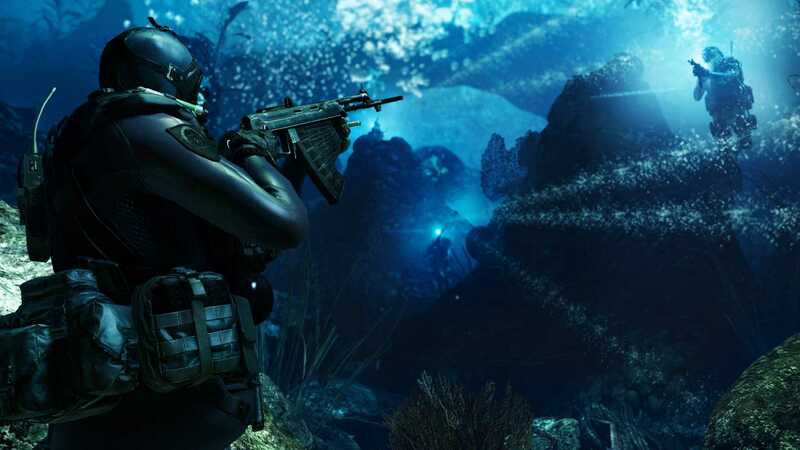 Although it seems unlikely that “Call of Duty: Ghosts” will be the defining game of the next generation of gaming, it is too polished to be considered an utter disappointment. If you have not gotten bored with the “Call of Duty” franchise and are looking for an improved version of previous games, this game will meet those expectations. The gameplay is smoother, and the multiplayer is as fun as past versions due to the extra maps and seven additional modes of play. Despite the underwhelmingly short trudge through the single player mode, the bells and whistles from the multiplayer mode make the game worth the price on any console.